Thousands of people in South Sudan have been killed or injured and 1.3m people have fled from their homes, due to vicious fighting and violence. We’re working in South Sudan right now, helping older refugees. Here, we report back with the latest from Juba, South Sudan’s capital city. 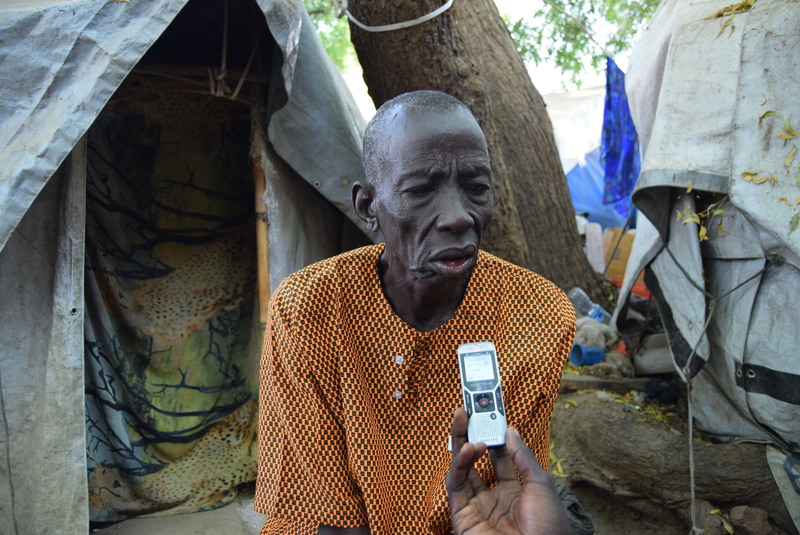 What is the situation like for older people in Juba? Older refugees in Juba are extremely vulnerable. They had already lived through decades of war when their country was part of Sudan; only to face yet more conflict and to be displaced again. “We are not able to go outside the camp because we may be raped”, one older woman explained to us. Sexual violence is being used as a weapon against civilians and, despite what some people may think, older people are not exempt. Although the UN camp for refugees is safe, outside is a different story. Older refugees are, understandably, extremely distressed by what they have seen and experienced. ‘I lost my husband. He was killed,’ one woman told us. Although they are safe in the camps, older people face challenges due to their age and their limited mobility. The latrines are too far away from the tents to which they have been allocated and there are no rails inside to support them. We are currently working with other agencies to make sure that latrines in camps are accessible – big enough for two people to go into if a frail older person needs help, and with rails to hold onto.